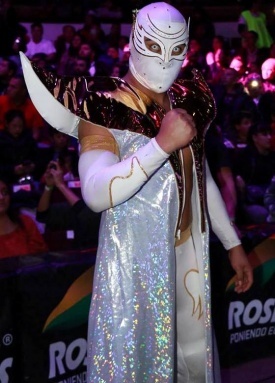 Tecnico who's been seen in both Mexico City and Laguna. Was injured some time in June 2015, but is returned prior entering the 2017 La Llave a La Gloria. Joined AAA after winning the tournament and was destined for a big push. Became Myzteziz Jr. in late 2018. Unrelated to the original Myzteziz. As La Llave a la Gloria winner. This page was last edited on 5 April 2019, at 21:45.